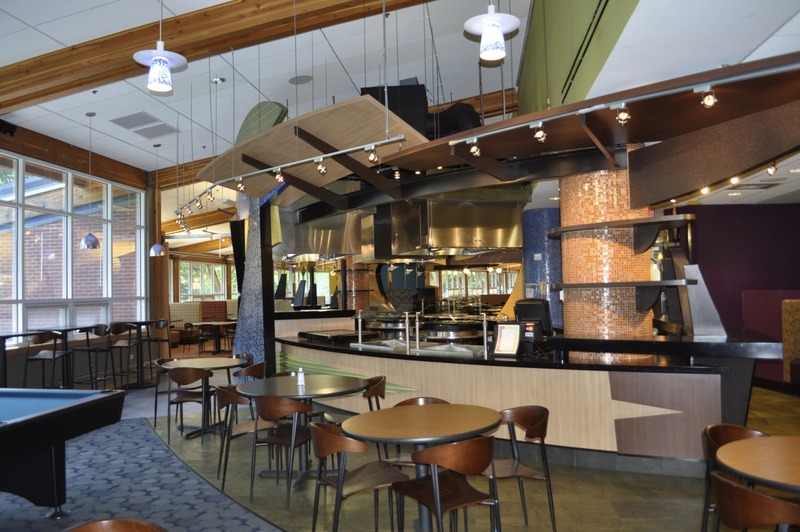 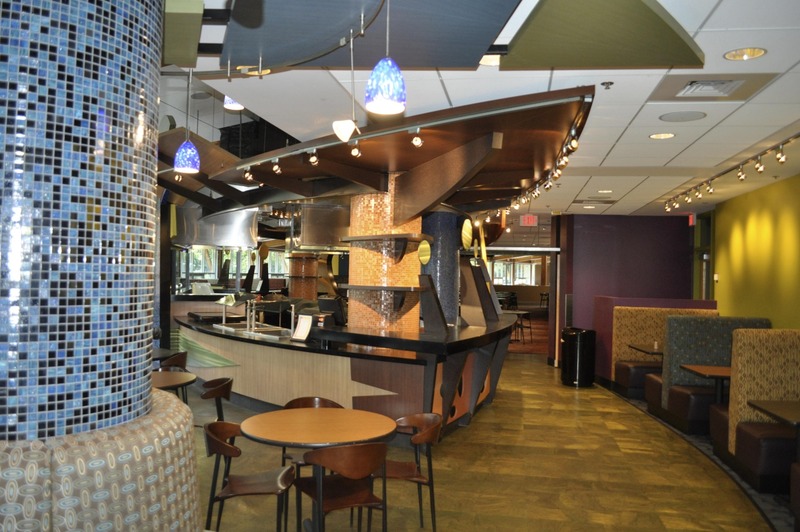 Renovation of campus pub, dining room, retail space and installation of Mongolian grill. 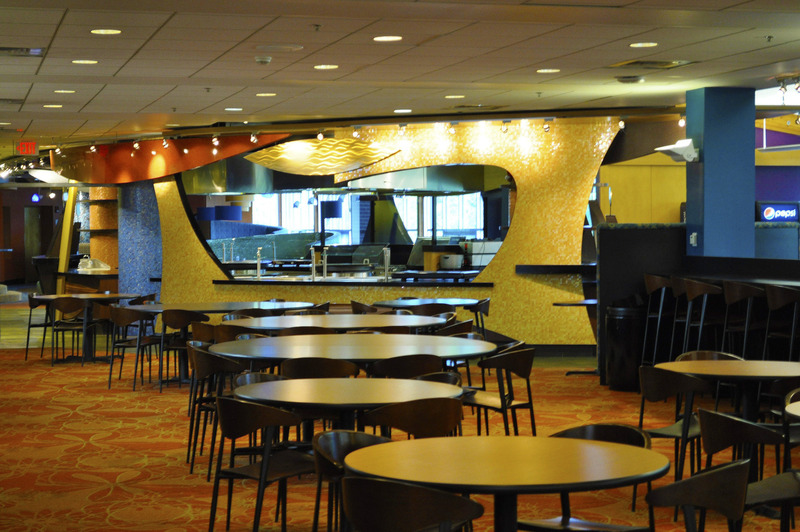 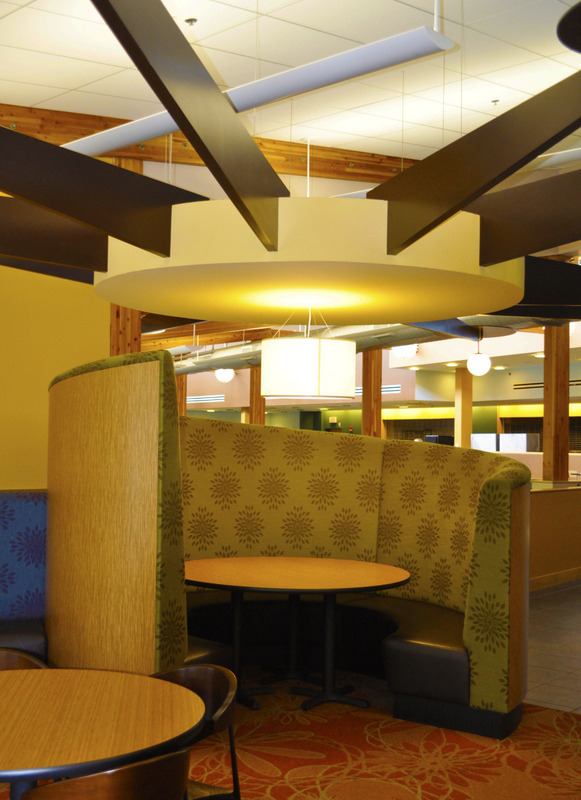 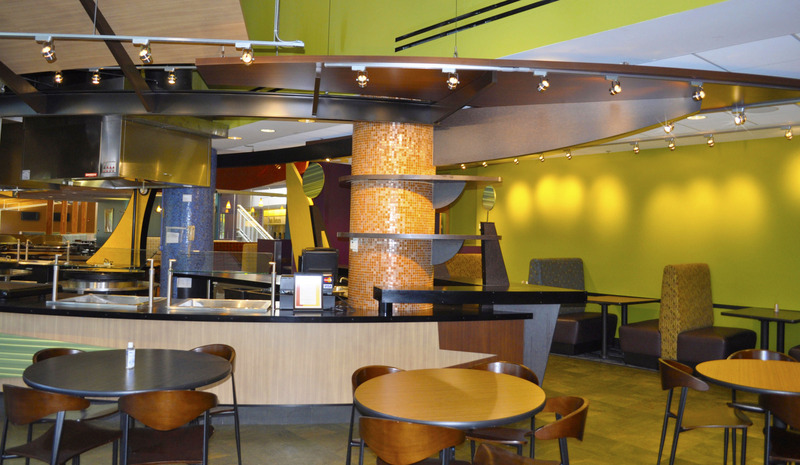 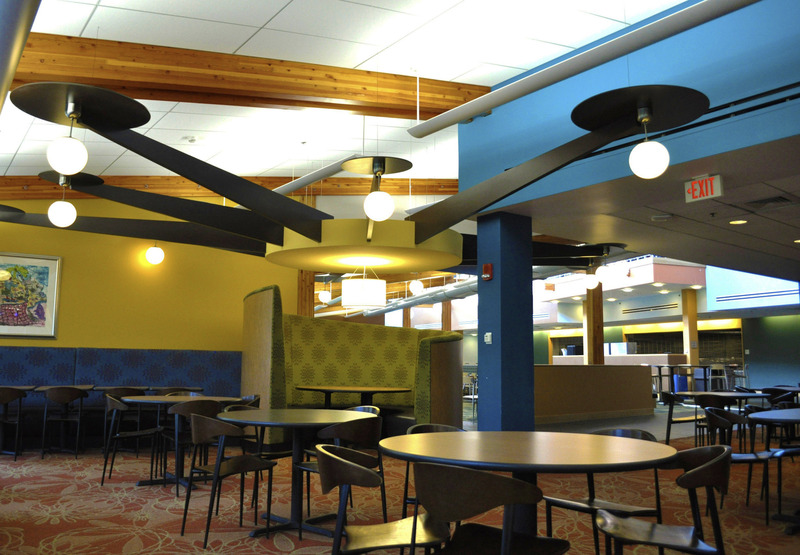 The Bentley Student Center needed to be a place to enjoy a meal with friends, attend a student organization meeting or relax with a game of pool. 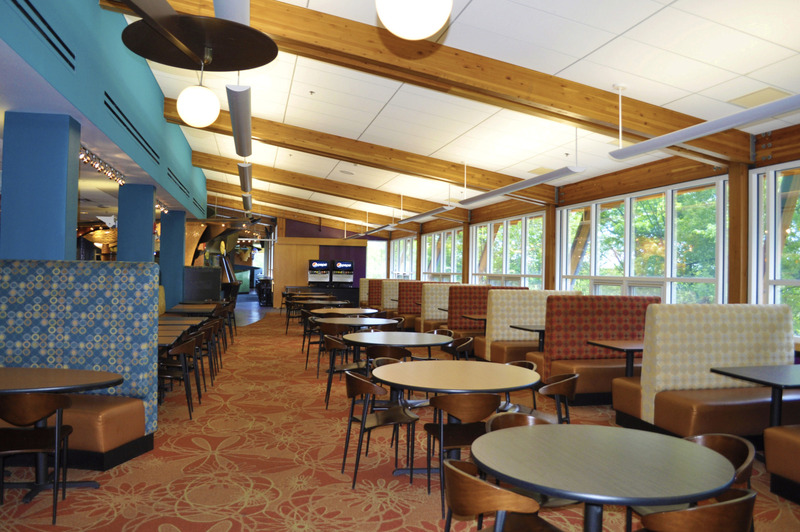 The heart of life on the Bentley campus became the Season’s Dining Room. 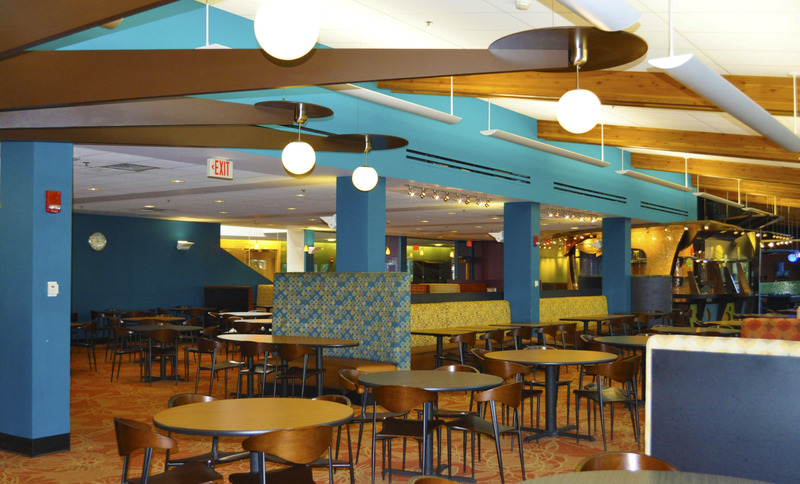 A place to gather and interact, Harry’s pub is at the center. 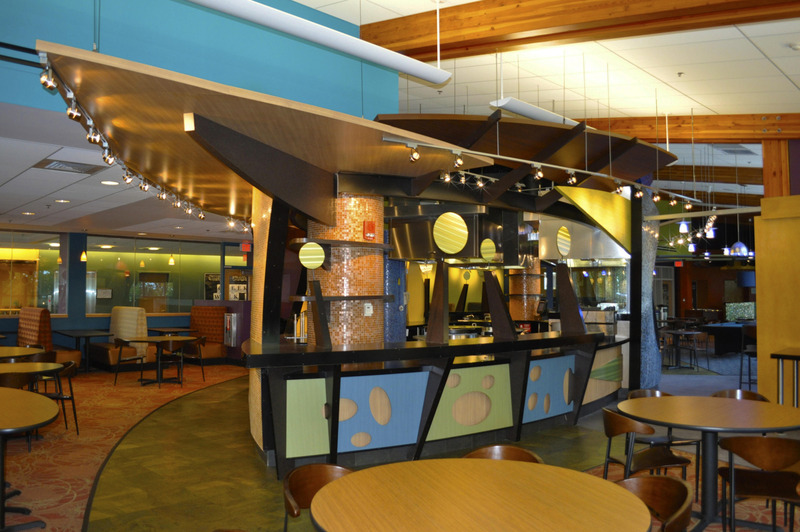 With colorful glass tiled columns and colorful patterns and shapes, its free standing bar is at the center, flanked with a variety of seating that included comfortable banquettes, dining tables and billiard tables. 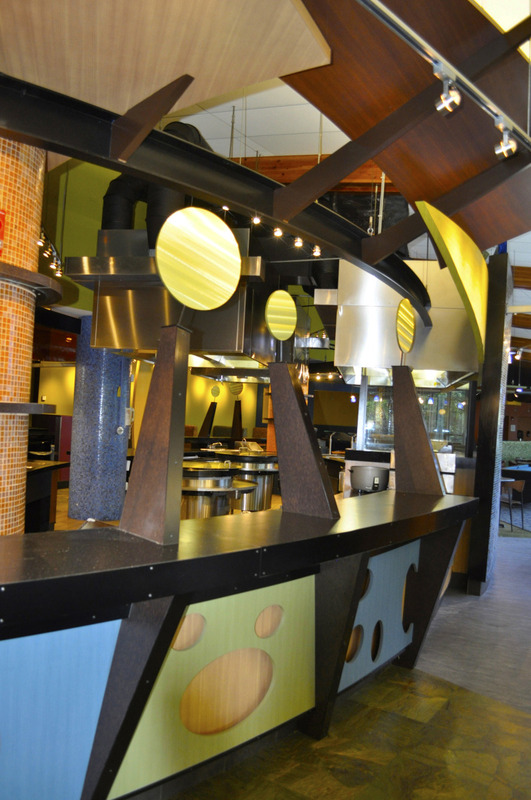 The installation of a Mongolian grill concept added yet more excitement to this multifunctioning destination. 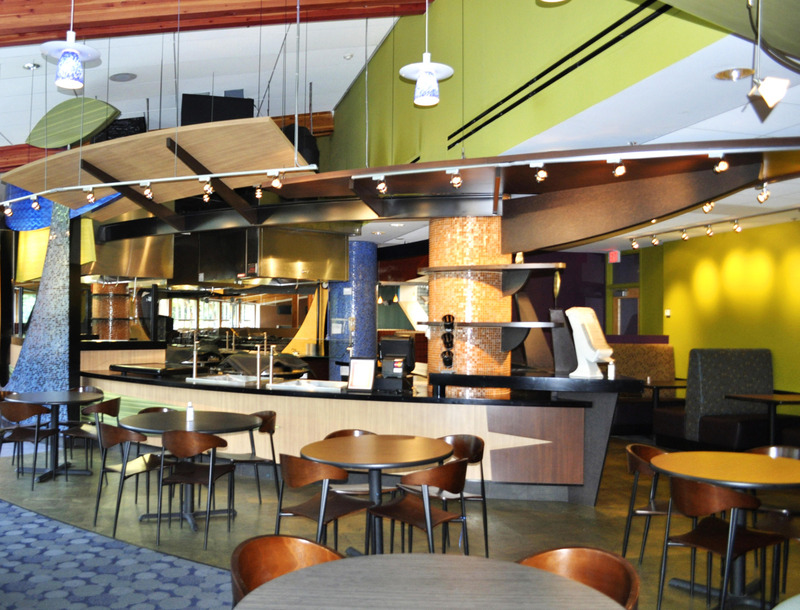 The overwhelming design result is a new opportunity on campus for dining, social gathering and entertainment.